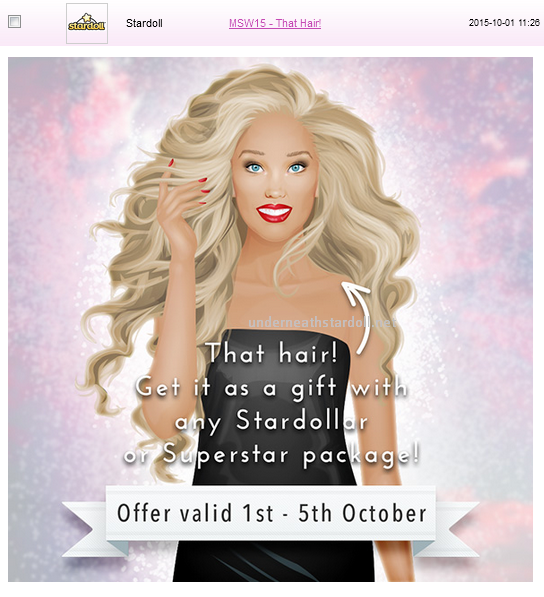 Today Stardoll released a new offer. For buying any stardollars/superstar membership package, you get the hair shown above. The offer is valid until October the 5th. What do you think about the offer? Do you like the hairstyle and will you take advantage of the offer?